Young UN Vienna was established in December 2017. The hub is already working on initiatives such as the Young UN Talks (link to Young UN Talks page), Talent Management (link to Talent Mgt page), and the Young UN Global Conference (link to Young UN global conference page). 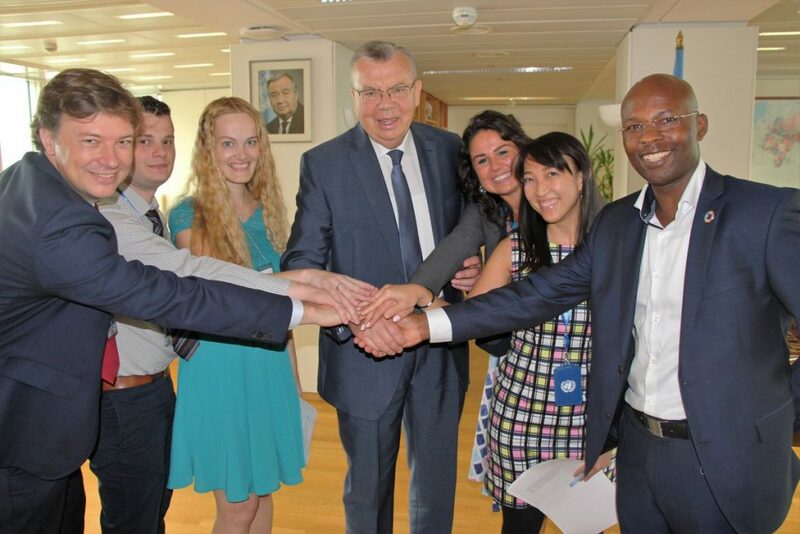 On 11 July 2018, representatives of Young UN Vienna met with Yury Fedotov, Director-General of the UN Office at Vienna and Executive Director of the UN Office on Drugs and Crime (UNODC). Mr. Fedotov expressed his support to Young UN and praised the network for its vision to promote positive change and work together to support the Secretary-General’s reforms and the 2030 Agenda. Young UN Vienna invites colleagues from the entire UN family in Vienna to join the network. Please reach out to the Young UN Vienna Coordination Team at youngunviennacoordination@un.org.